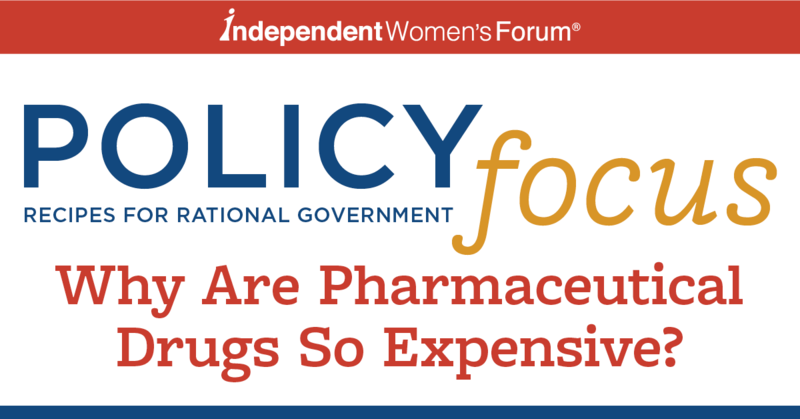 IWF - Policy Focus: Why Are Pharmaceutical Drugs So Expensive? About six in ten Americans say that lowering the cost of prescription drugs should be a priority for the President and Congress. For years, public opinion polls have found that the cost of drugs is Americans’ number one health concern. Over half (55 percent) of all Americans report taking prescription drugs. To identify policies to make drugs more affordable, the public first should understand why drugs are often expensive. Many factors contribute to the cost of pharmaceutical drugs: Drug makers invest incredible resources in costly research, development and drug trials. And many of the drugs they research never make it to market. Intellectual property policies (patents and exclusivity periods) rightly limit market competition when a new drug is brought to market so that companies can recoup the costs associated with research and development. Our complex and opaque healthcare payment structure makes it difficult for patients to make informed decisions based on price. And even policies of foreign countries can increase the costs of drugs here within the United States. 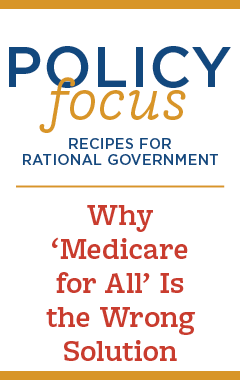 There are two potential paths for America today: We can expand the role of government in setting drug prices, or we can foster greater individual choice and market competition to hold prices down. The former path would inevitably have unintended consequences, like drug shortages and reduced innovation. The latter would make drugs more affordable and accessible, while also encouraging and rewarding innovation. We all want to see ever more advances in drugs that heal sickness, reduce suffering, and prolong life, so it’s important we choose the right path.